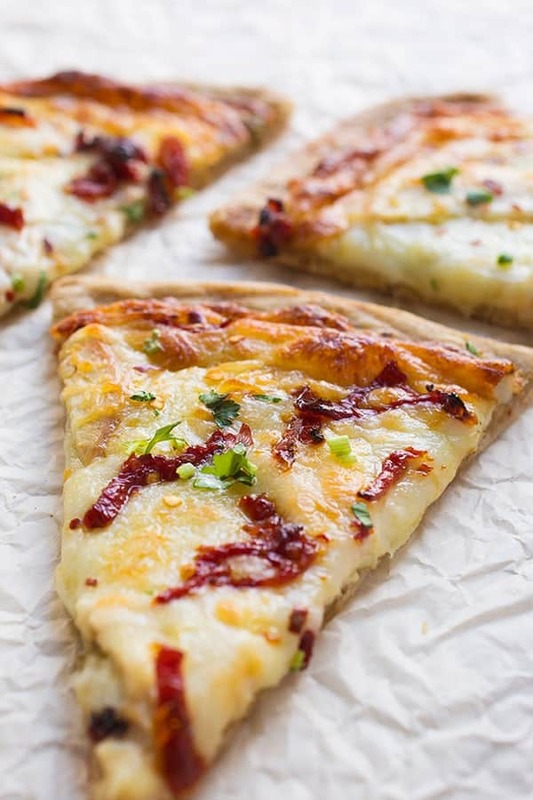 The ultimate comfort food, this 5 ingredient cheesy chicken pesto pizza is made on a whole wheat pizza crust and topped with juicy sun-dried tomatoes. Pizza is my husband’s love language. It’s true. And you know what my love language is? Pre-made whole wheat pizza crusts that don’t require me to pretend I know anything about yeast and dough. We recently got our very first Trader Joe’s that is just 5 minutes from my house so we almost always grab one of their whole wheat pizza crusts to keep on hand for busy weeknight dinners. 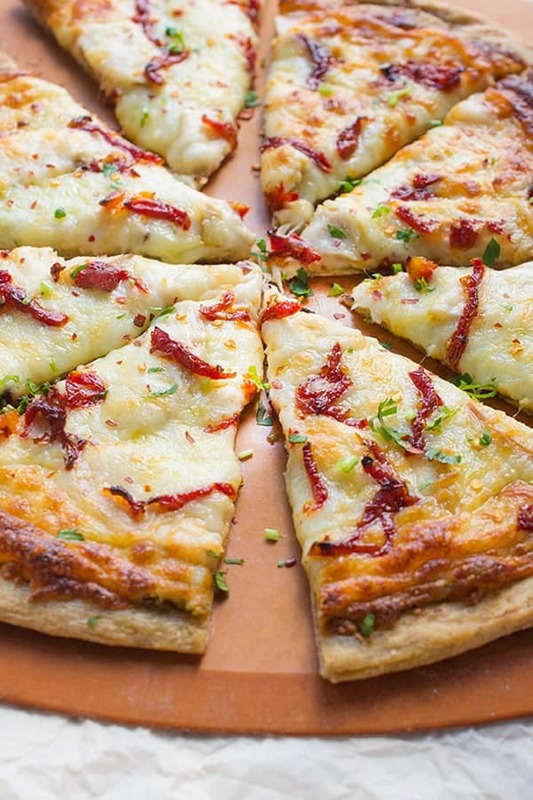 Using just a handful of pantry staples and leftover rotisserie chicken, you are less than 15 minutes away from this Cheesy Chicken Pesto Pizza with Sun-Dried Tomatoes. I like to sprinkle it with a little fresh parsley and red chili flakes to serve but to be honest, it hardly needs any doctoring. 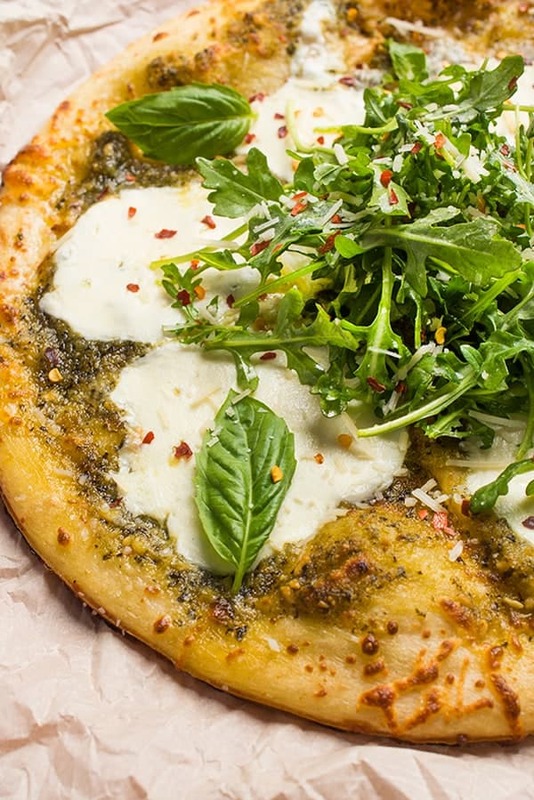 Warm gooey cheese, fresh basil pesto and tender shredded chicken are topped with tangy sun-dried tomatoes to create pizza perfection in every bite. The best part? It tastes even better cold the next day. Not that I would know… there was no way Raúl was leaving this photo shoot without snagging the leftover pizza. 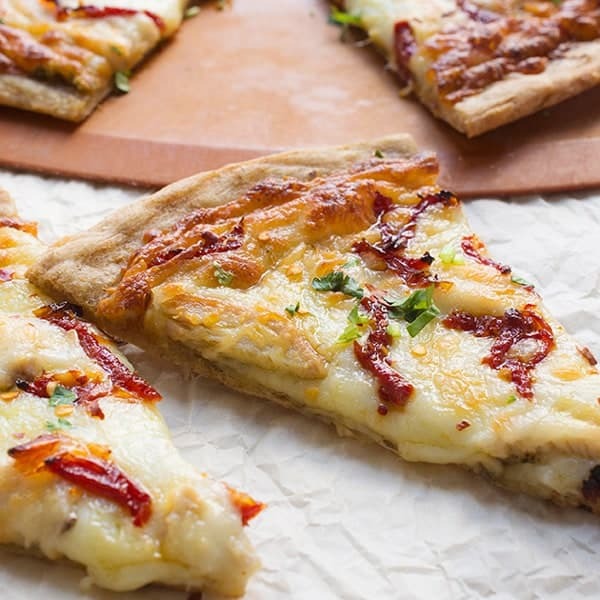 This cheesy chicken pesto pizza is made on a whole wheat pizza crust and topped with juicy sun-dried tomatoes. Spread basil pesto evenly throughout the center of the pizza crust, being careful to leave a 1/2 inch border around the edge. 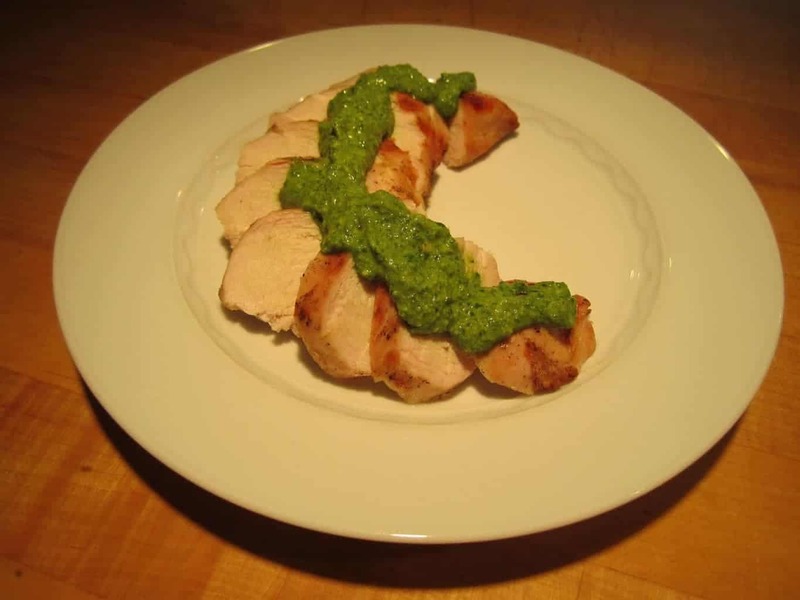 Sprinkle half of the cheese on top of the pesto and arrange chicken on top of the cheese. Add the remainder of the cheese on top of the chicken and toss on the sun-dried tomatoes. Bake until golden brown and bubbly, about 8-10 minutes. 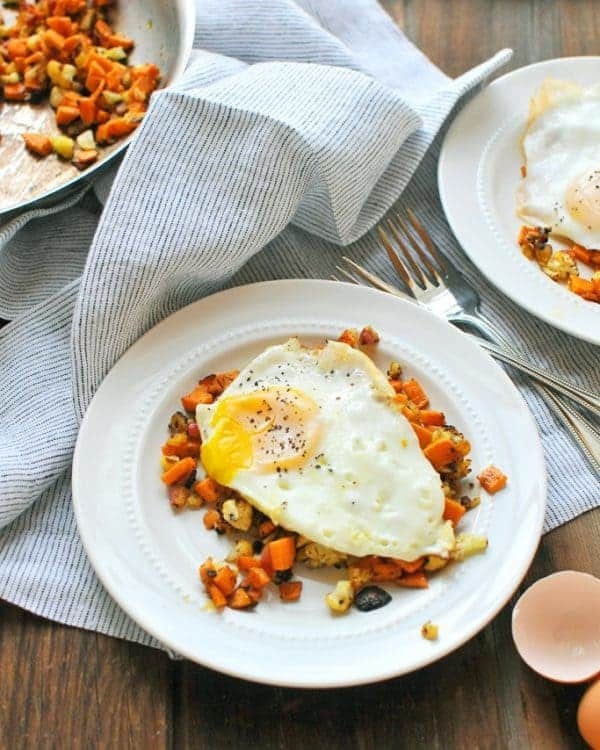 For more Healthy and Easy Dinner Ideas head over to Pinterest! Follow The Lemon Bowl | Liz Della Croce’s board Healthy and EASY Dinner Ideas on Pinterest. 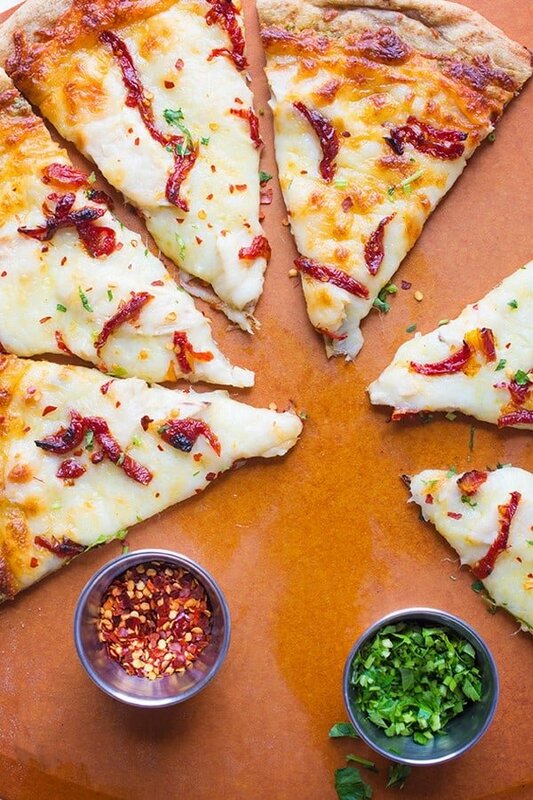 Need more ideas to get your pizza fix?? I can’t have tomatoes or tomato products, so we make a similar pizza without the sun-dried tomatoes but with roasted red peppers and onions. Pesto, chicken, cheese, roasted red peppers, onions. It’s such a great and versatile pizza. Luckily, we also have a place close by that sells ready made pizza crust, so all we have to do is add the toppings! Ok your version sounds incredible!!! I love that so much! 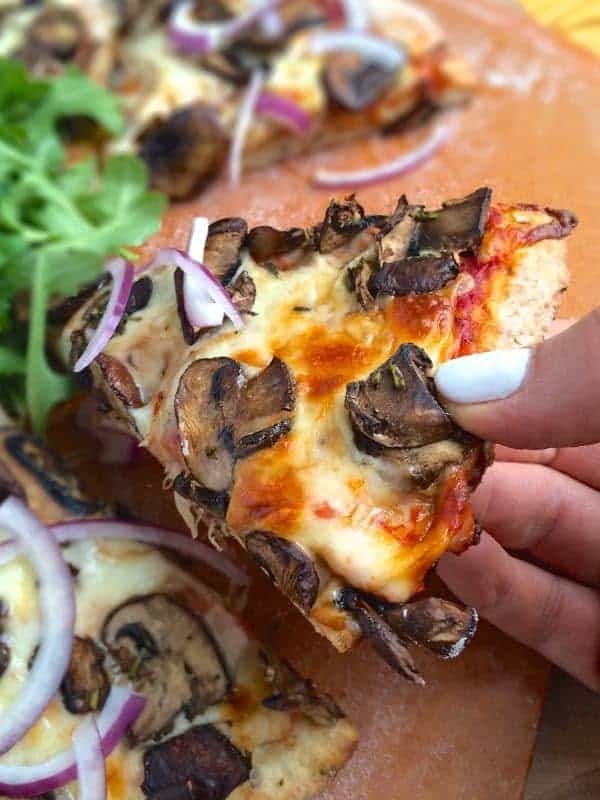 I’ve been craving pizza lately and this looks like a perfect craving cure! Seriously so damn good Kristen!! !